PAWTUCKET, R.I.--(BUSINESS WIRE)--Nov. 9, 2017-- For the second year in a row, Hasbro, Inc. (NASDAQ: HAS) has earned a score of 100 percent on the 2018 Corporate Equality Index (CEI), a national benchmarking survey and report on corporate policies and practices related to lesbian, gay, bisexual, transgender and queer (LGBTQ) workplace equality, administered by the Human Rights Campaign Foundation. The 2018 CEI rated 609 businesses in the report, which evaluates LGBTQ-related policies and practices including non-discrimination workplace protections, domestic partner benefits, transgender-inclusive health care benefits, competency programs and public engagement with the LGBTQ community. 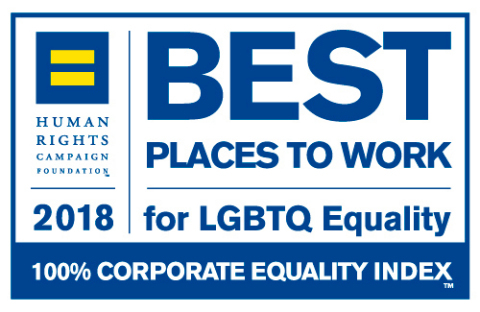 Hasbro’s efforts in satisfying all of the CEI’s criteria resulted in a 100 percent ranking and the designation as a Best Place to Work for LGBTQ Equality. The Human Rights Campaign Foundation is the educational arm of America’s largest civil rights organization working to achieve equality for LGBTQ people. Earlier this year, Hasbro ranked No. 1 on the 2017 100 Best Corporate Citizens list by CR Magazine, and has been named one of the World’s Most Ethical Companies® by Ethisphere Institute for the past six years.